Adobe Illustrator has a really useful tool that can enable you to import your pixel based images or drawings and convert them to vector artwork on the Adobe Illustrator Artboard. It works best when the artwork is simple or black and white, Adobe Illustrator will struggle to convert a full color photograph in to vector artwork, it will do it but the results won’t look amazing. 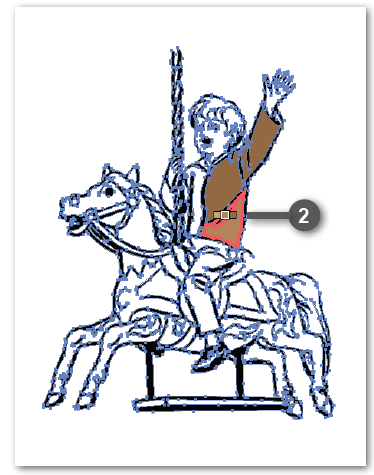 As with most tools in Adobe Illustrator the Image Trace tool is amazing but does have its limits. With the Live paint tool in Adobe Illustrator you can easily paint areas of your vector artwork that are not necessarily fill areas, the Live paint tool in Adobe Illustrator works really well with items that you have Live Traced on the Adobe Illustrator Artboard. 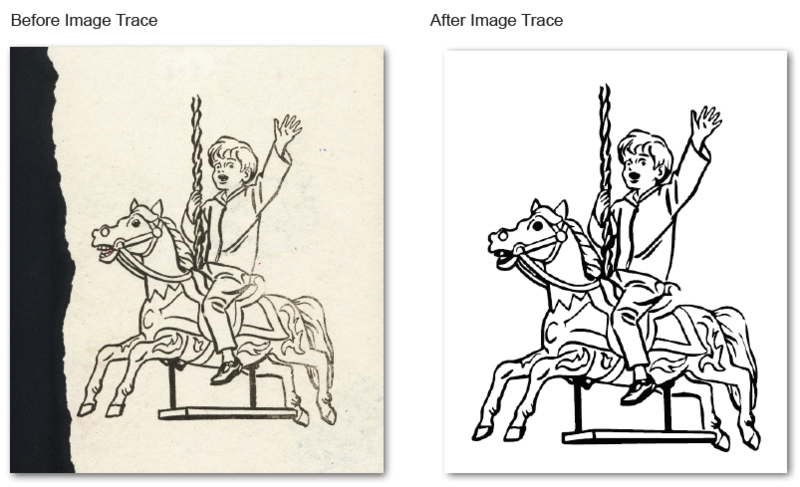 Image Trace traces existing raster artwork you can then convert the drawing to vector paths or a Live Paint object. 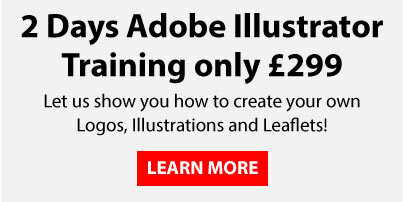 It is useful for turning a drawing in to vector art, tracing logos etc. 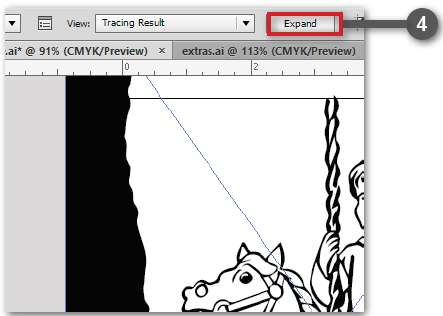 Here is a step by step guide on how to use the Image Trace panel in Adobe Illustrator. 1. With a raster image placed in to your document and selected click the ‘IMAGE TRACE’ button in the control bar. 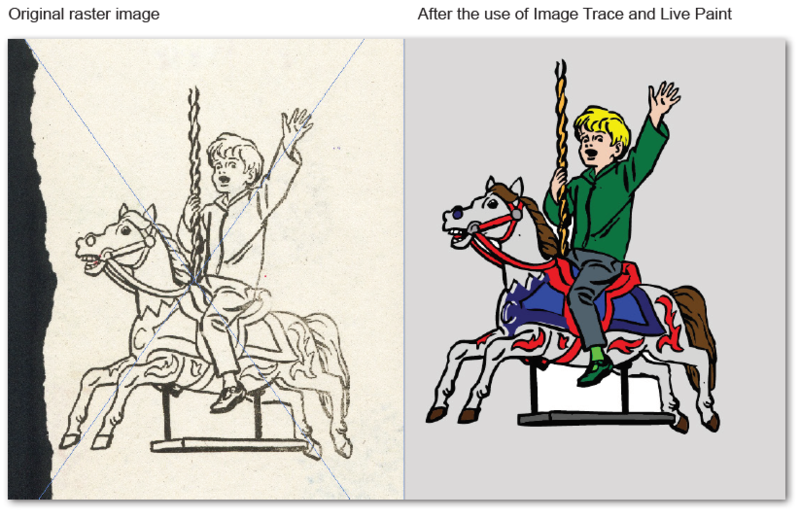 This will convert the image into an image tracing object. 2. Click the Image Trace panel button in the Control panel to open the panel. Or go to Window>Image Trace. 3. 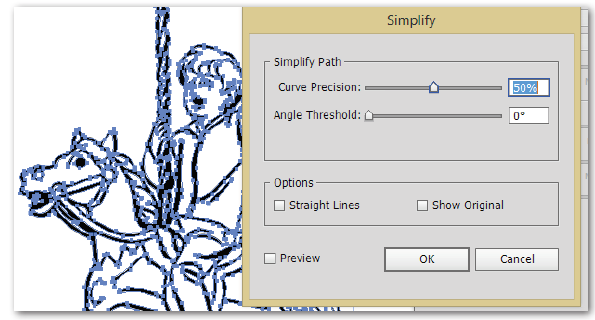 There are many adjustment sliders within the panel to help get the result you are after, in the advanced setting you can change the amount of paths and corners etc, as you adjust these sliders you will see an instant preview of your trace. 4. With the image tracing object still selected click the Expand button in the Control Panel. This will convert the the object in to editable paths. After tracing you may need to clean up the resulting vector artwork, choose Object>Path>Simplify. Using the Curve Precision and Angle Threshold sliders you can edit the amont of anchor points used and the angles to make the vector paths simpler and easier to edit. Live Paint lets you paint vector graphics intuitively in Adobe Illustrator, by automatically detecting and correcting gaps that otherwise would have affected how fills and strokes were applied. Paths divide the drawing surface in to areas which can be coloured, regardless of whether the area is bounded by a single path or by segments. The Live Paint tool works particularly well with artwork that you have created using the Image Trace tool in Adobe Illustrator. 1. Select all of the artwork that you want to use the Live Paint tool with. 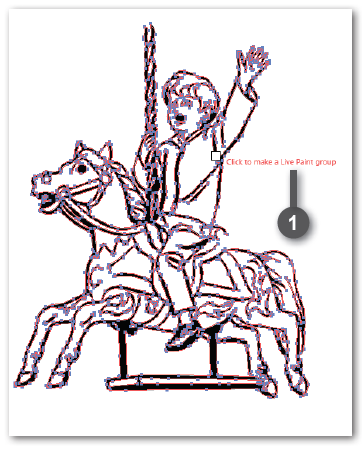 Choose Object>Live Paint>Make or click on the selected artwork with the Live Paint tool. 2. You have created a Live Paint group that you can now roll over the image with the Live Paint Bucket tool, you will see the individual areas highlight as you move around the image. You can click to fill the image with any selected swatch from the swatches panel or use your cursors to toggle to different swatches.